Please Note: We will never share, sell, or rent individual personal information with anyone unless ordered by a court of law. Information submitted to us is only available to employees managing this information for purposes of contacting you. 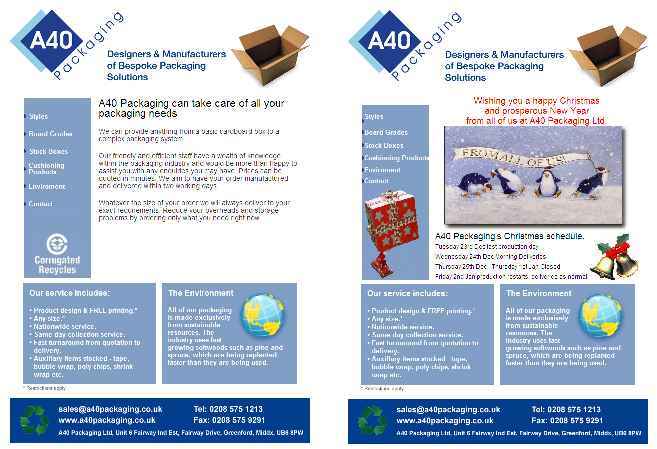 To unsubscribe from the A40 Packaging news letter, please enter your email address below.